I bought Tim a burl thinking he could make me a vase. 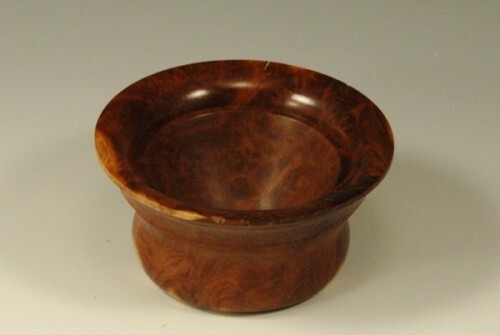 I did not realize how much wood was needed for a small little vase, so instead he made this bowl. 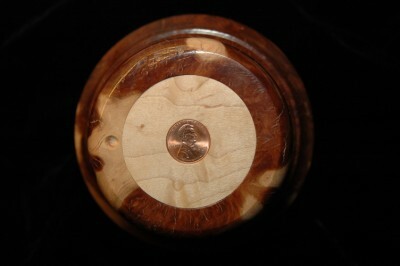 The bottom of the bowl has a 2" diameter Curly Maple disk, with a 2009 penny embedded in it, as shown below.